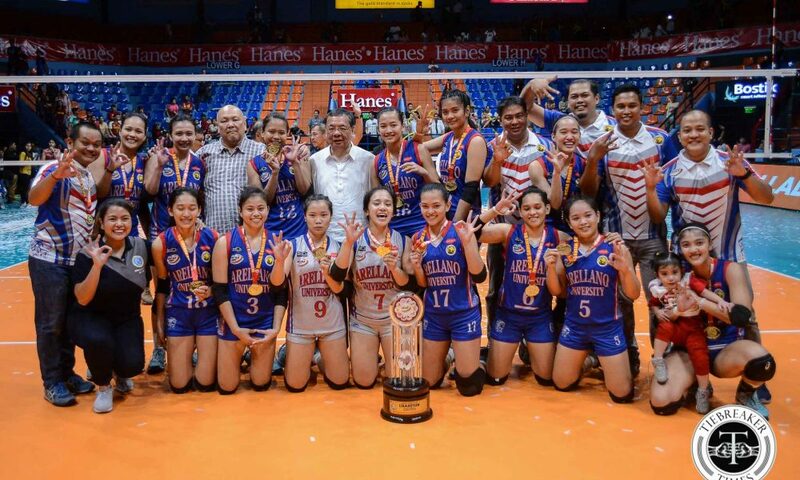 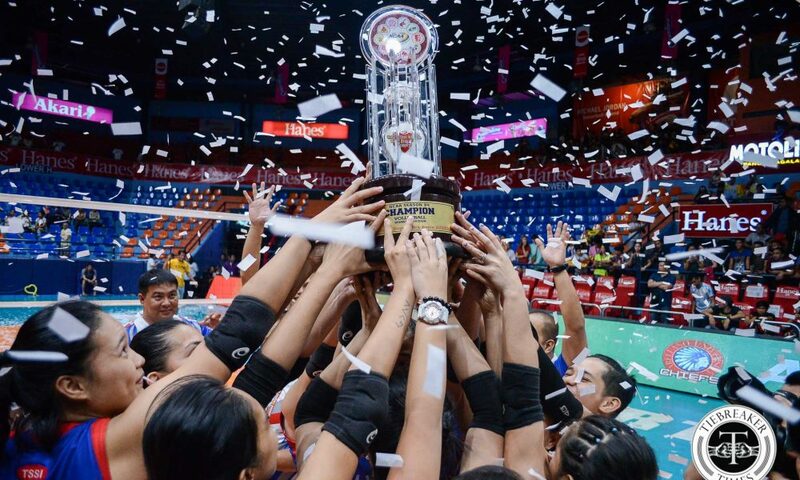 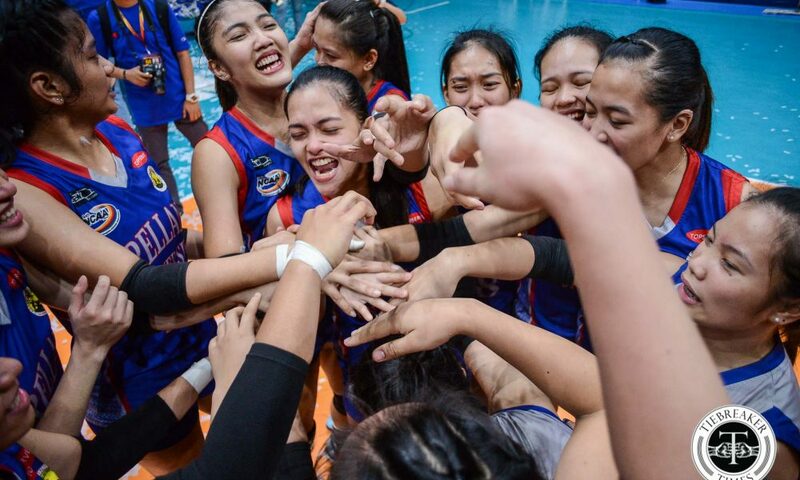 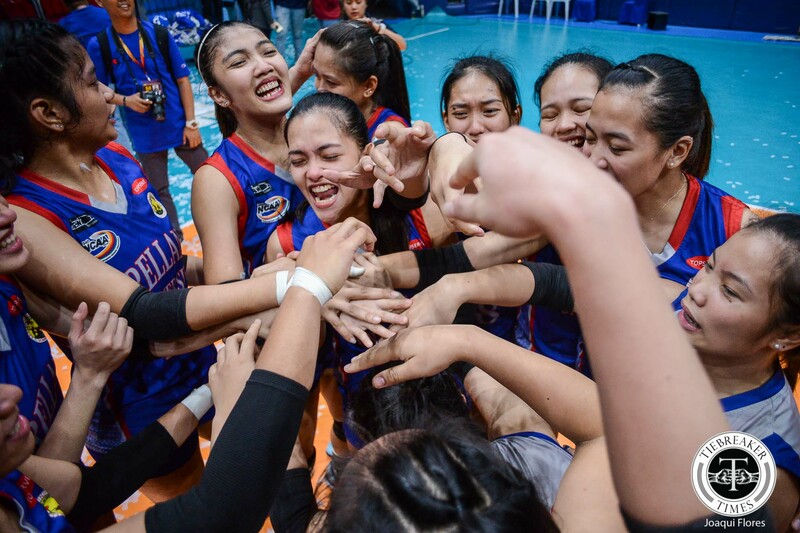 Facing a program hungry for a rare triple crown, the Arellano University Lady Chiefs had to earn their three-peat. 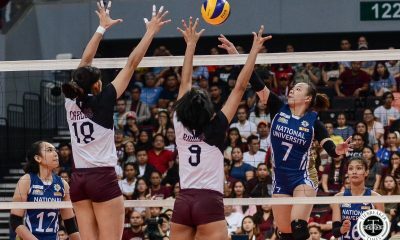 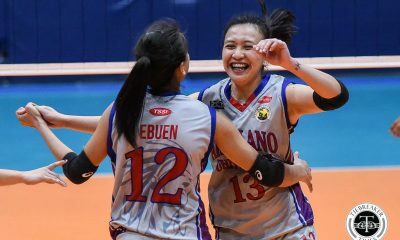 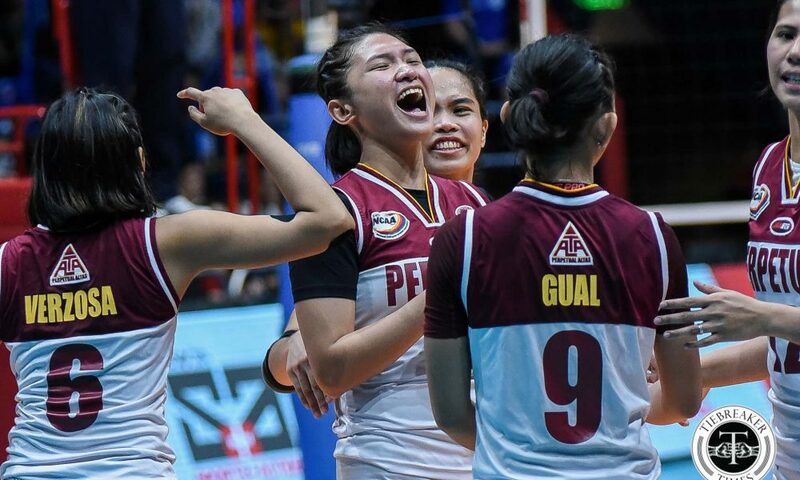 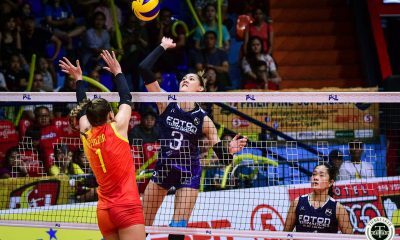 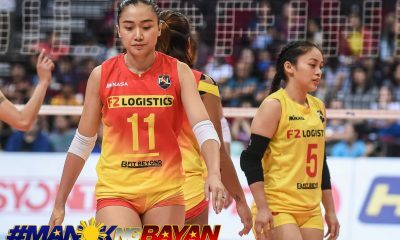 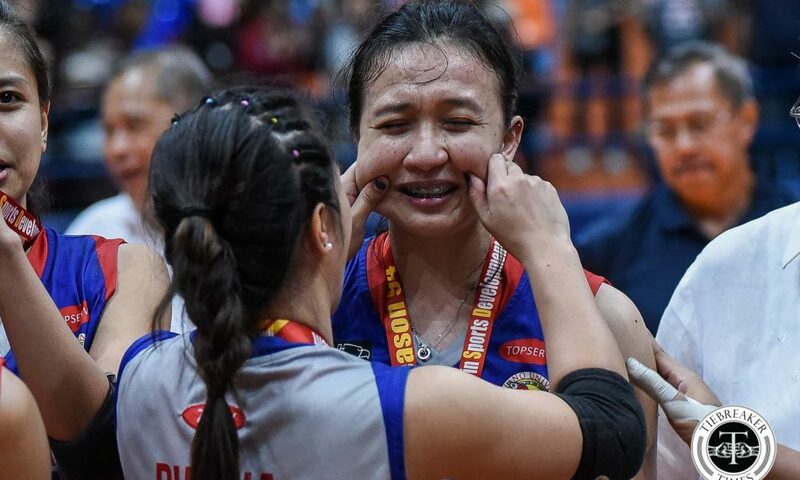 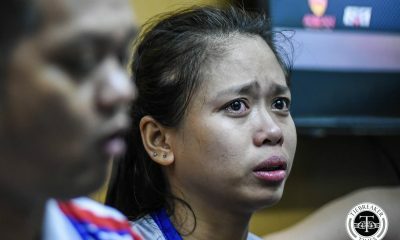 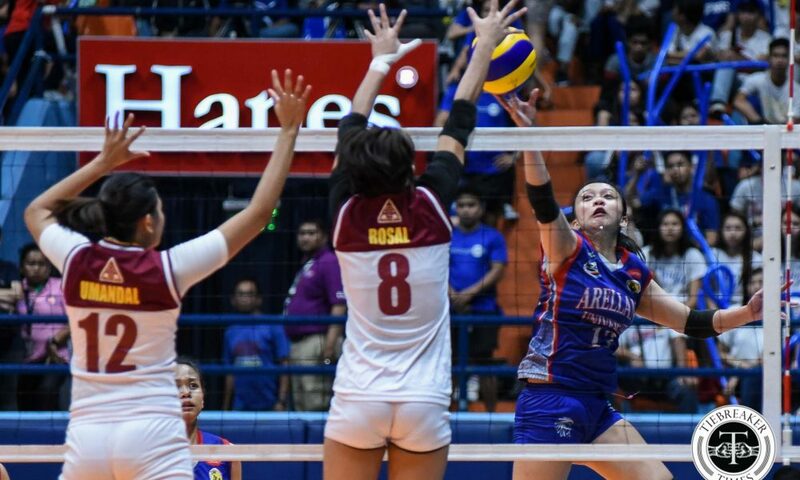 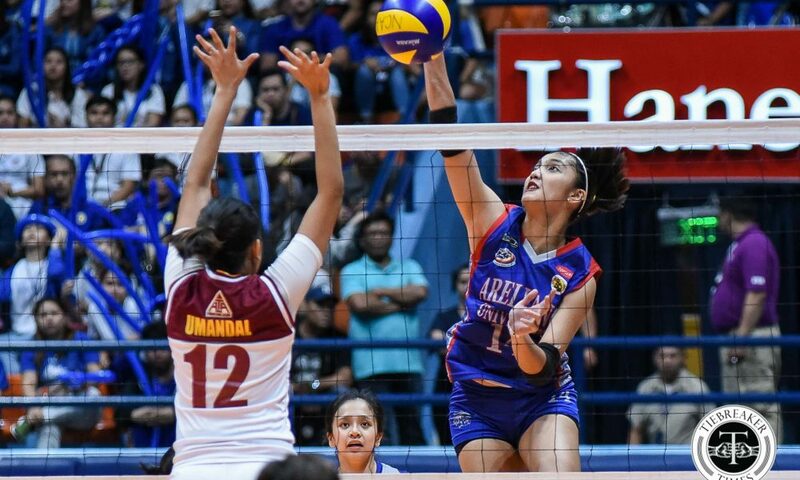 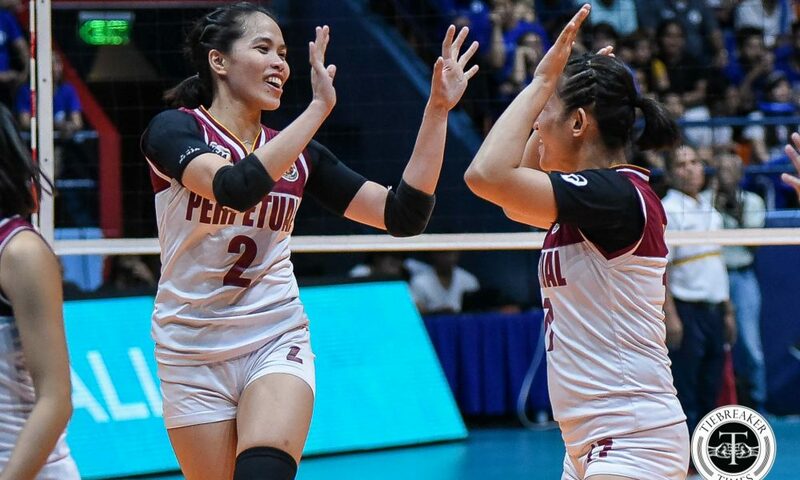 Arellano fought off the NCAA Season 94 Women’s Volleyball Tournament’s Cinderella squad in the University of Perpetual Help System – Dalta Lady Altas, clinching the women’s volleyball title in a back-and-forth Game Three, 22-25, 25-17, 25-18, 25-18, at the FilOil Flying V Centre. 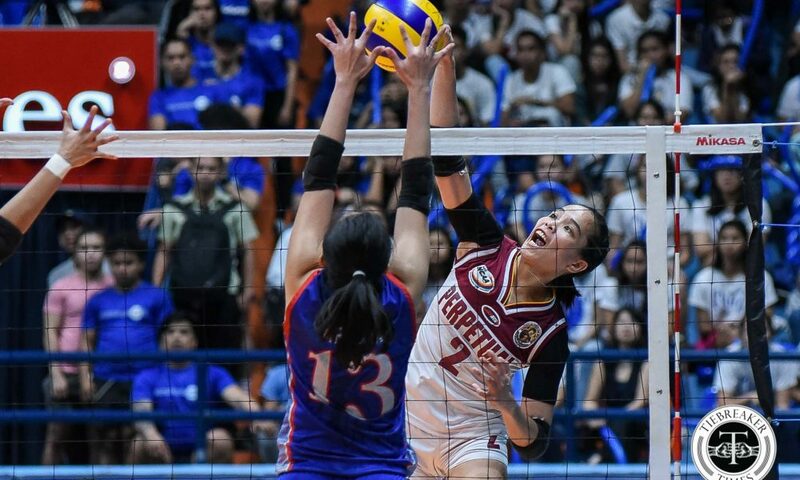 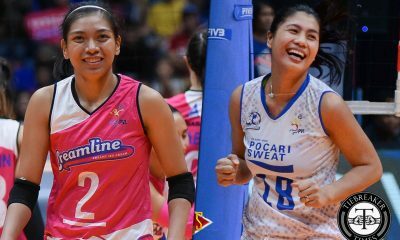 The Lady Altas opened the match as they had the past few matches: with a comeback. 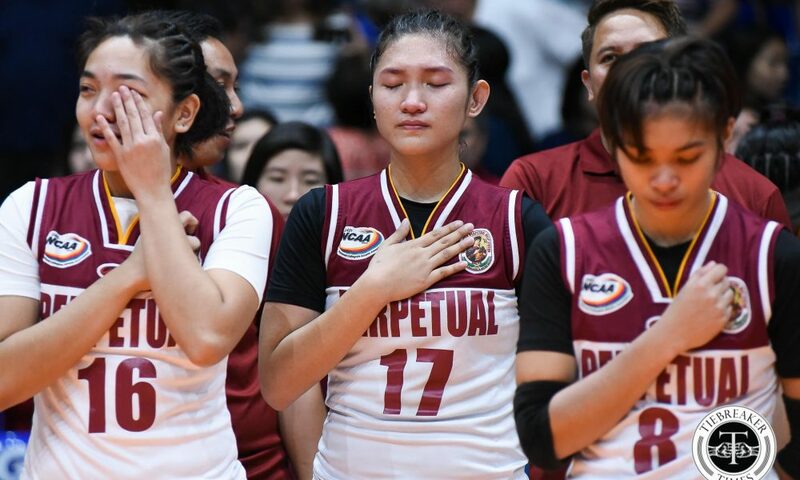 Down 17-20, Perpetual stifled Arellano’s offense and rattled off the next six points with Jenny Gaviola contributing three points in that stretch. 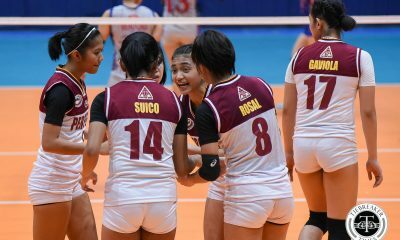 Gaviola struck again late, closing the set with a sharp over ball. 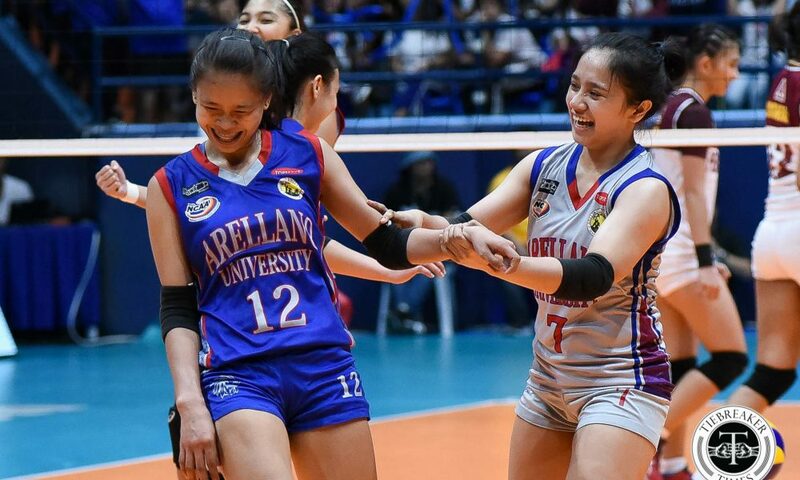 Arellano did not allow any sort of rally in the next two sets, shutting down any Perpetual run. 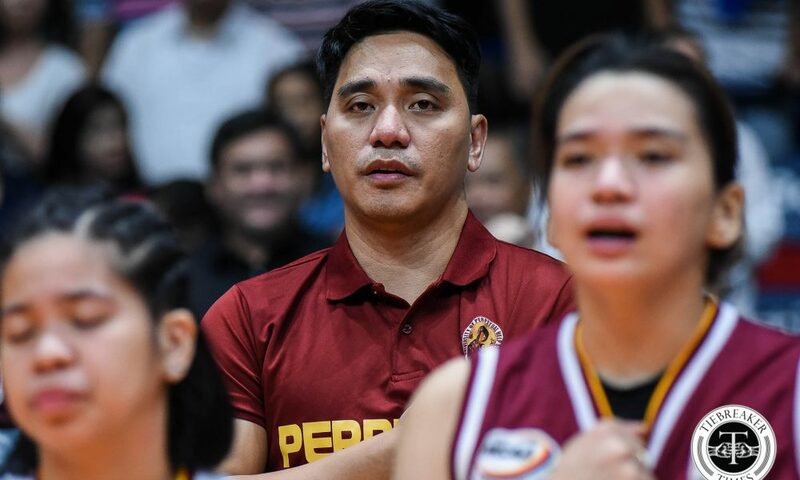 A tight start in the second frame quickly shifted to the Lady Chiefs’ favor. 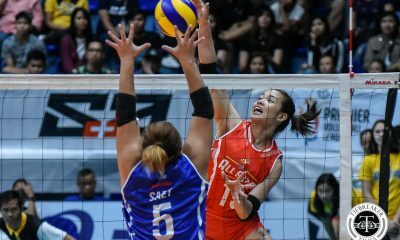 A flurry of attacks from Princess Bello and Season MVP Necole Ebuen then pushed Arellano to a 22-15 lead. 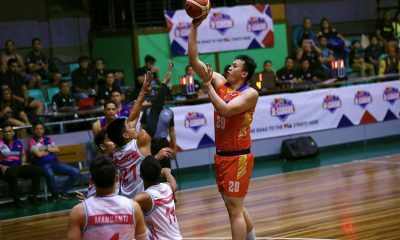 Arellano pounced in the third frame, taking an insurmountable 21-11 lead. 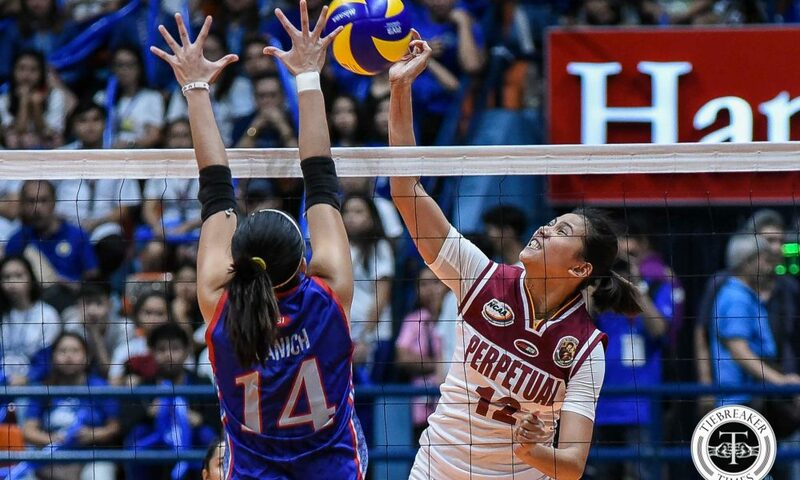 Perpetual threatened to extend the match, marching to a 13-11 lead in the fourth set. 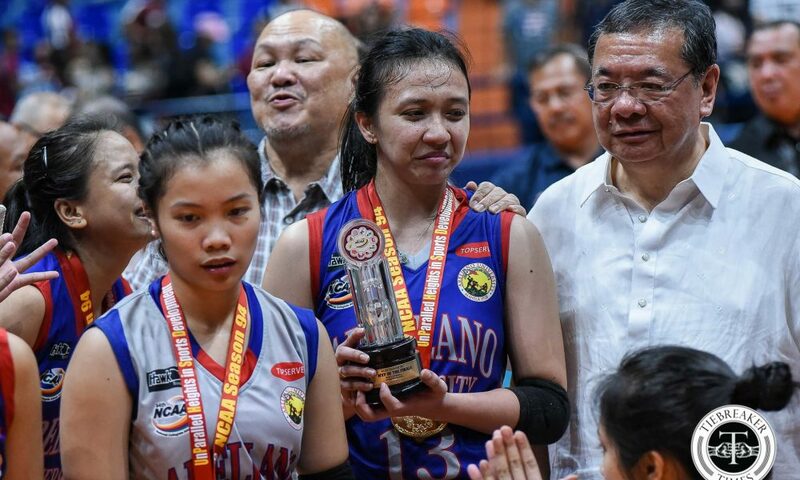 From there, Arellano’s championship experience shone, as the Lady Chiefs went on an 11-0 run. 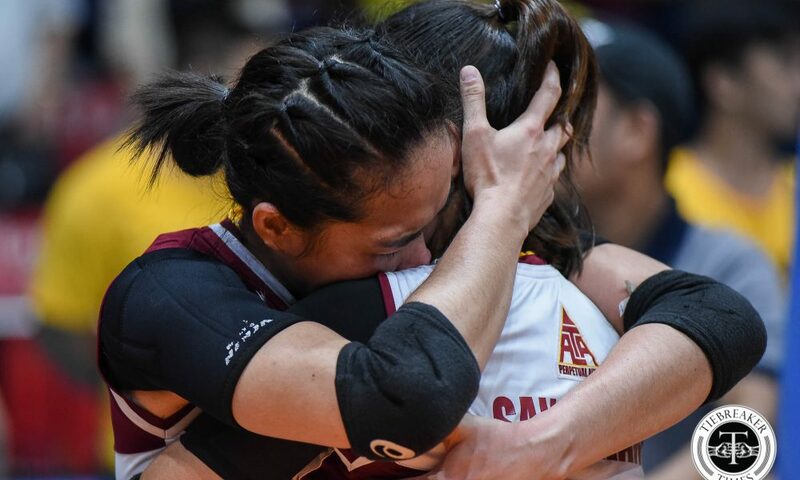 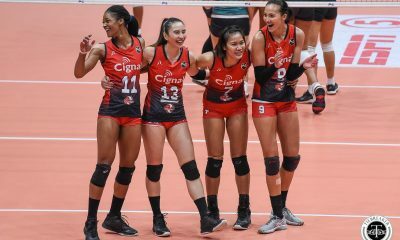 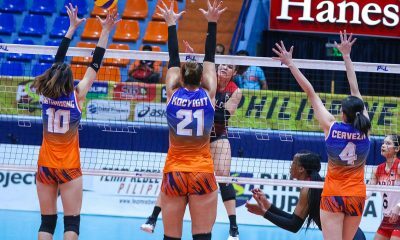 The Lady Chiefs woke up from a disappointing loss in Game One, solving the Lady Altas’ puzzle in Game Two. 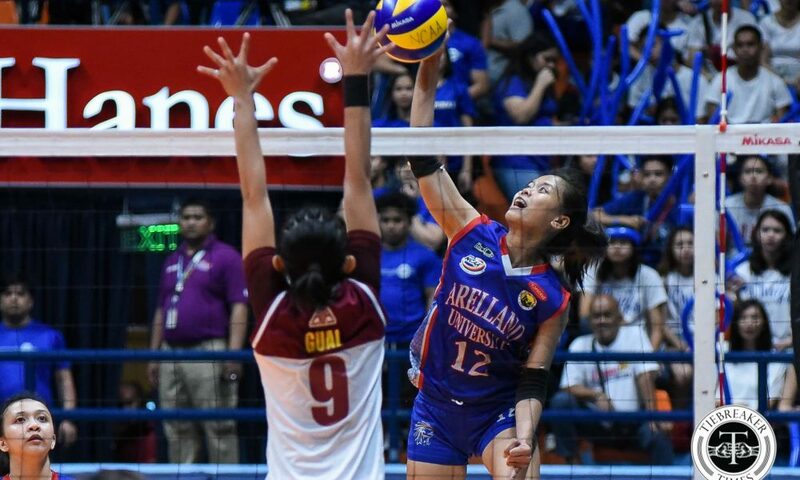 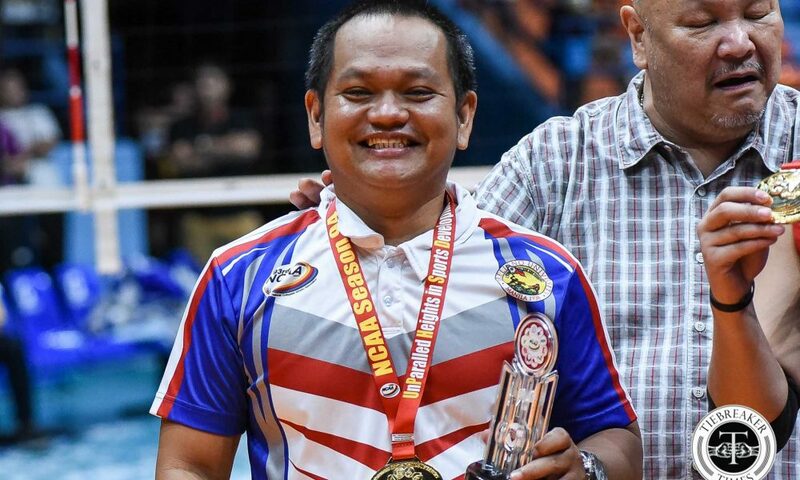 Compiling 46 points total in the three Finals matches, open hitter Regine Arocha was named Finals MVP. 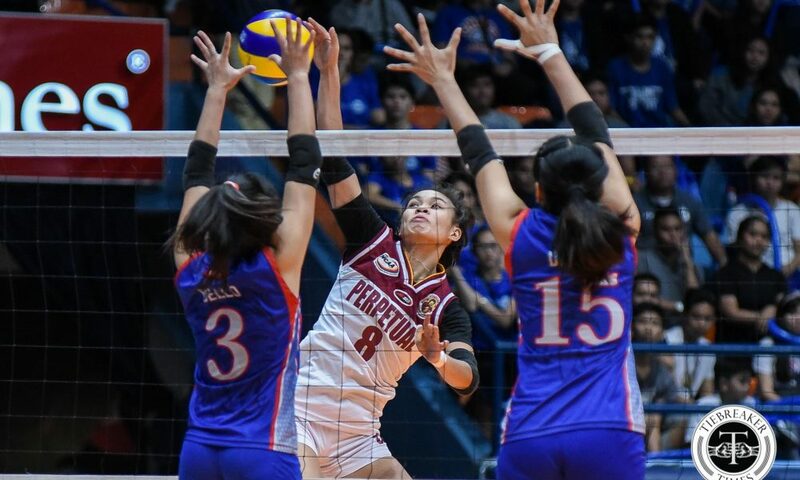 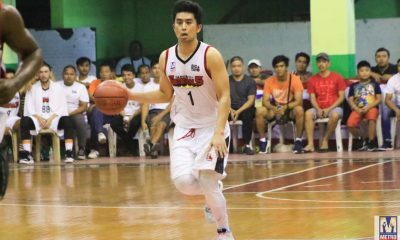 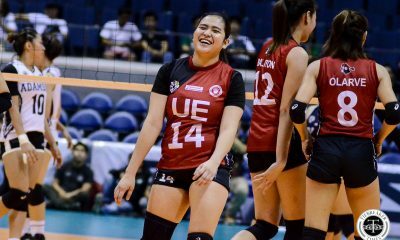 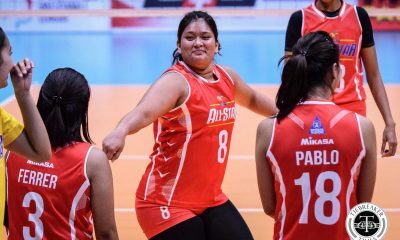 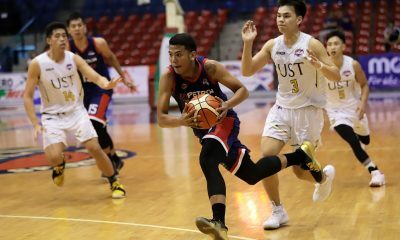 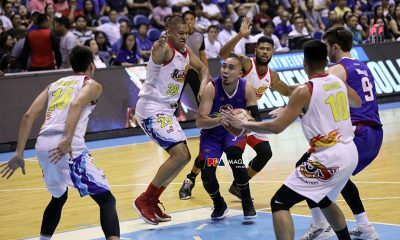 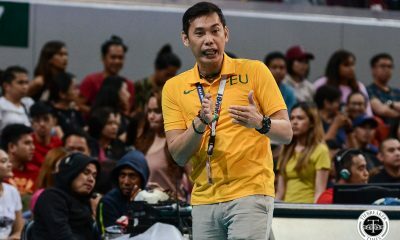 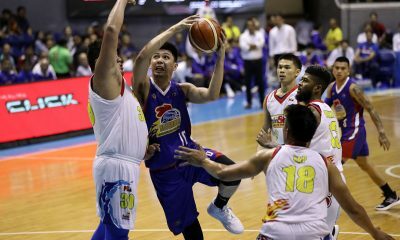 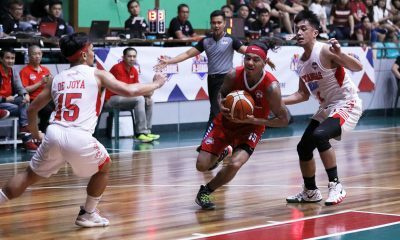 The fourth-year spiker managed 16 points in Game Three. 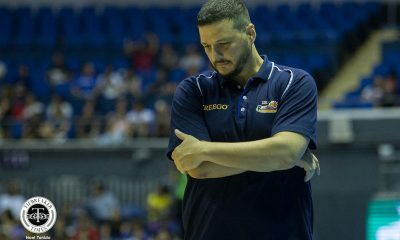 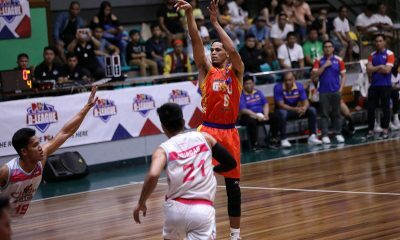 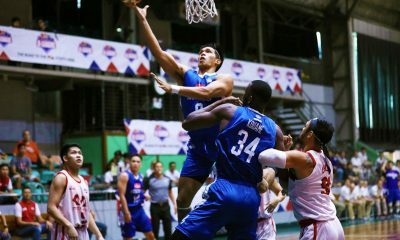 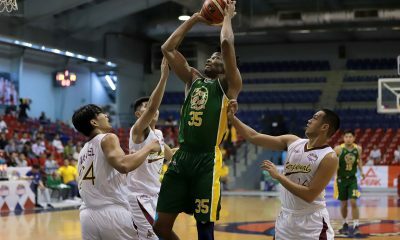 Princess Bello added 12 points, while Ebuen tallied 11. 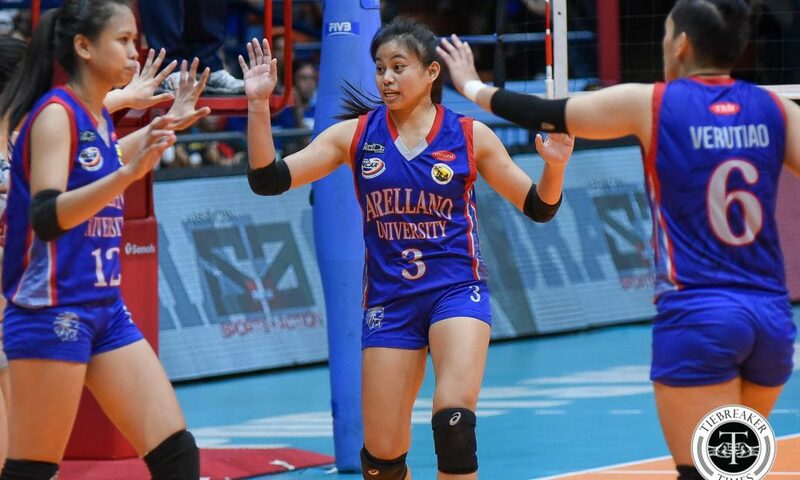 Arellano setter Rhea Ramirez ended her collegiate career with a title, tossing 20 excellent sets in Game Three. 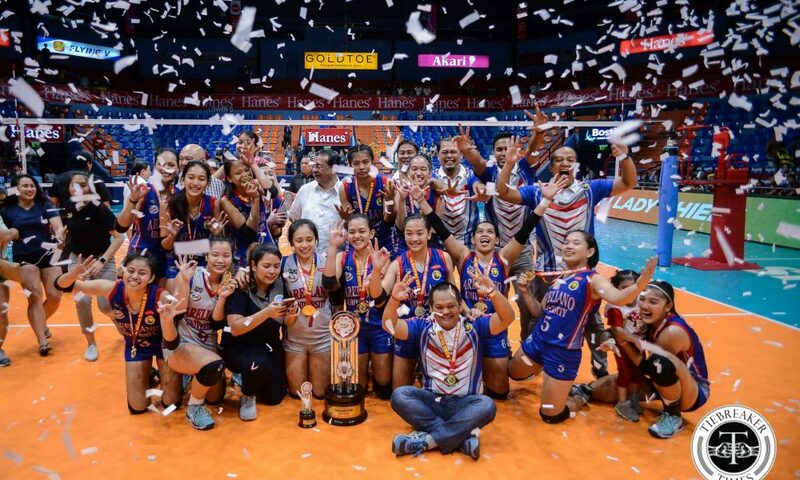 The Lady Chiefs have clinched their fourth title in five years. 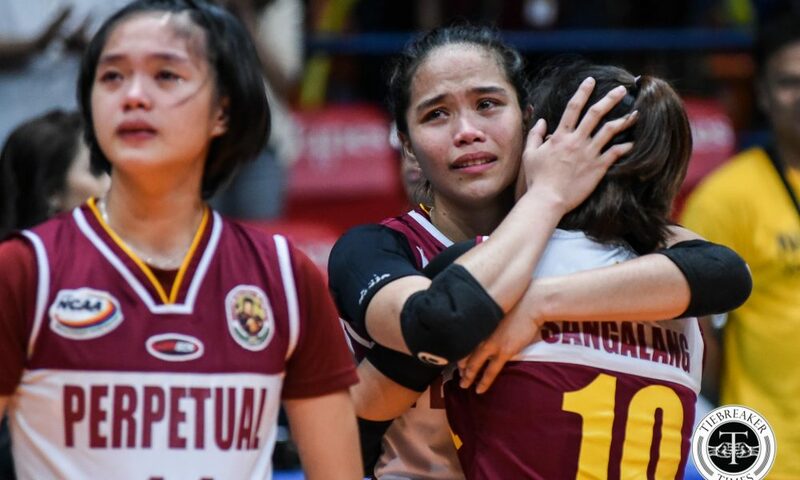 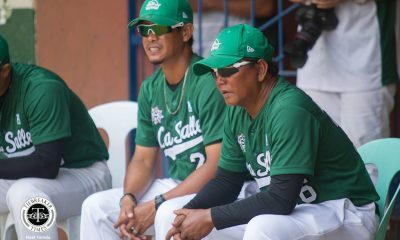 Perpetual missed out on a triple crown as their Men’s and Junior’s squads won their respective tournaments. 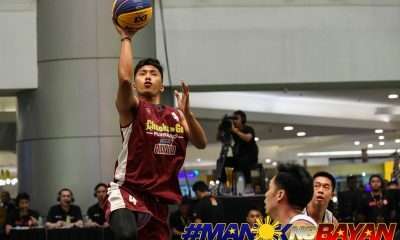 Imbo finished with 12 points on 51 spike attempts. 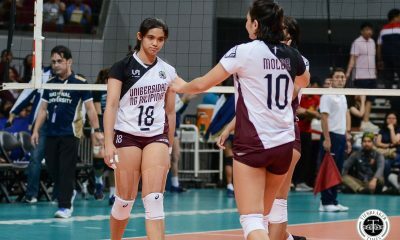 Shyra Umandal and Jenny Gaviola each contributed 10 markers. 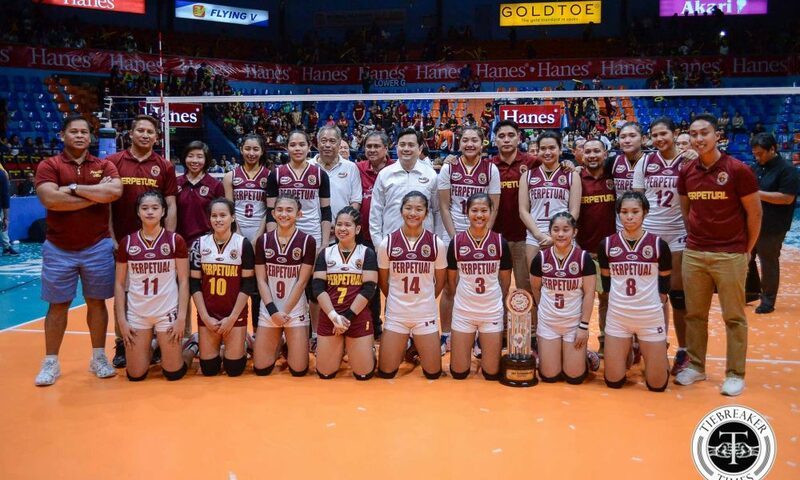 Season 94 First Best Open Hitter Cindy, Bianca Tripoli, Necelle Gual, Jowie Versoza, and Hershey Llorente all played their final game for Perpetual.